A hard rain is about to fall on a small town in Southern China. In a desperate attempt to find money to save his fiancée’s failed plastic surgery, Xiao Zhang, a mere driver, steals a bag containing 1 million from his boss. News of the robbery spreads fast within the town and, over the course of one night, everyone starts looking for Xiao Zhang and his money. Director Liu Jian delivers a whirlwind neo-noir, cementing his place as a pioneering force in independent Chinese animation. Xiao Zhang steals a million from his boss, the whole town wants to find him. There's significantly little payoff here. Whereas there are similar gangster themed movies such as The Raid, etc. coming out of the East. The difference here is that those films have resolution to what they're building. I felt like this movie had almost no significant third act. You have several characters interacting and building throughout the first and second acts- and the finish just curdles. 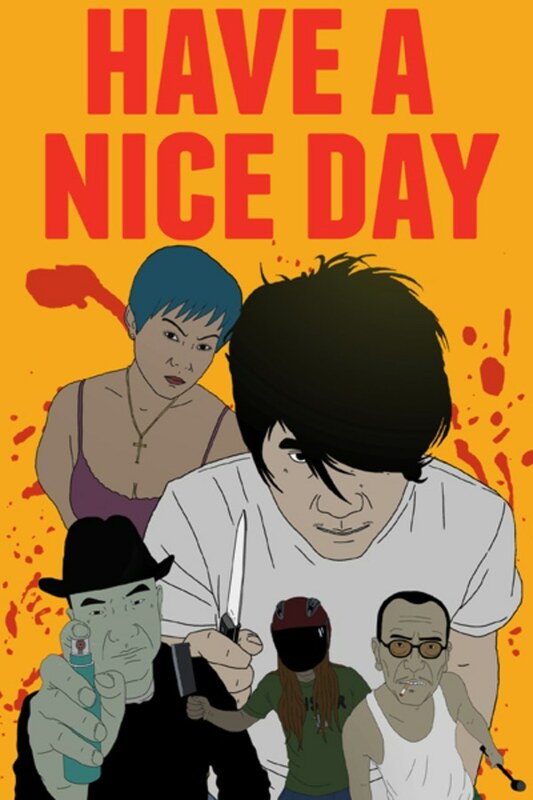 Animation is decent, but kind of derivative of similar Western roto-scoping animation like A Scanner Darkly. Dialogue is sparse on purpose, but effective. This is a director who has clear potential, but has not made the movie they should have yet. As a piece of work coming from China that is commenting on China now not some fantasy fetishized narrative it’s amazing. As a film, the animation needs to be a bit better & the story was a little light but it worked & it made me want to see what he makes next. Thank you shudder! I literally could not find this film anywhere! Not horror. Meh animation. Slow story.